Many people see their garden less as an outdoor space that comes with their property and more as an extension of their home itself. It is therefore a good idea to put the same level of thought and care into designing your garden as you do the rooms inside your house; reflecting the same style and touches of personality throughout. Adhering to the following advice will help you establish a beautiful yet low maintenance space to really finish off your home. One of the best and most popular ways of incorporating the garden into the home and making the whole property flow as one is to include furniture in the design of your outside space. There is a whole range of pieces to choose from, meaning everyone can find something that works for them in terms of style and space. By encouraging the use of the garden as an area for socialising, it immediately feels more sophisticated and appreciated. 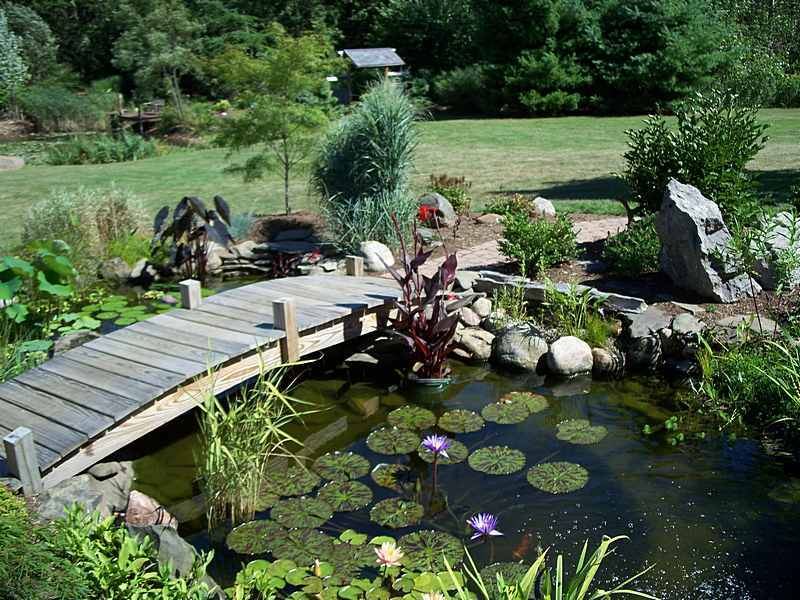 Water features, be it a fountain or a pond, are very popular in gardens with plenty of space. They are great for establishing a relaxing and tranquil atmosphere, as well as a mature and modern look. Aquatic plants help keep a natural feel but should be pruned in summer months to stop them from overgrowing, while the water itself should be skimmed to remove residue and foliage to maintain the aesthetic impact of your feature and to avoid the need for major cleaning on a regular basis. Companion planting is a term often used to describe the act of selecting plants that will support and compliment the growth of the others around it. This is important, as not only do flowers and shrubbery that look nice together go a long way towards creating a beautiful garden but certain plants can actually stunt others in their development or even be poisonous to fellow species. Taking care to select plants that will co-exist in harmony will allow your flower beds to flourish to the very best of their ability. The best way for a garden to make an immediate visual impact is to incorporate a diverse range of colours into your arrangements. Bold, bright and beautiful colours that both compliment their neighbouring plants and stand out in their own right make any outside space feel warm and inviting; captivating the senses from the first moment someone arrives. An overgrown garden is a neglected one and so making sure to regularly mow the lawn as and when it is needed is important. You should remove no more than one third of the grass’ length each time you cut it however, so as to be sure not to damage the roots and risk spoiling your lawn. On certain types, leaving the clippings to be absorbed back into the soil will actually supply the grass with valuable nutrients that assist its growth. Splitting your garden into distinct sections reached by a central pathway can make it feel organised but also allows maintenance to be a far less daunting task. Be it one section for flowers, one for shrubbery and another for vegetables; areas designated by colour and season or whatever other creative ideas you can come up with to suit your own gardening interests, a segmented garden is both practical and beautiful.